This 0.5 acre property has a 2300 sq.ft. 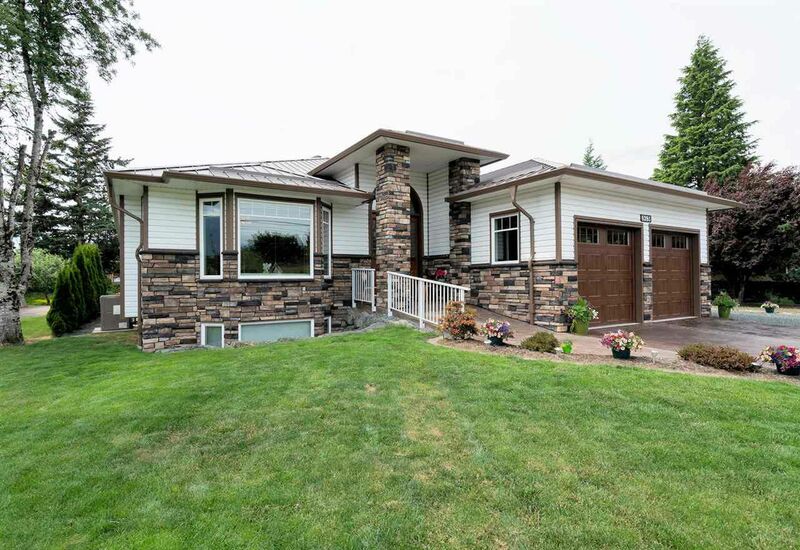 Luxurious 3 bed rancher, with a 2200 2-3 basement suite & a 2 bedroom carriage house. That's 8 bdrms, 8 bathrms (5 ensuites) share 5400 sq.ft. in the main home & carriage house. Rental potential; carriage house & self-contained basement suite = $2700./mnth. The quality extras: metal roof, fancy hot tub, in-floor heating, dream kitchen with 6 burner gas stove, solid maple cabinets & floors, double sided fireplace, automatic TOTO toilet & the BEST insulated house u will ever see. The EXTREME pride of ownership/construction is evident at every turn. Priced Dramatically UNDER replacement cost. You need to see it to believe it! Call for your viewing.